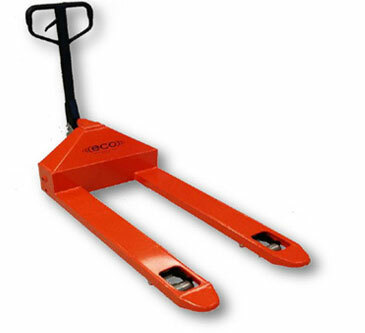 ECO I-44WL Weigh-Scale Pallet Truck - MOBILE INDUSTRIES INC. :: Material Handling Tranport, Lift and Warehouse Equipment. 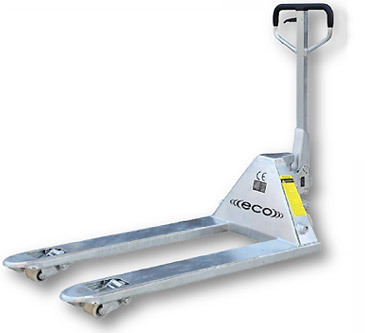 The ECO I-44WL Weigh Scale Pallet Truck enables the operator to easily lift, weigh (to 99.9% accuracy) and transport loads. The easy to read meter features a high-contrast LCD display for better visibility, and ‘clickable’ keypad. The readout is available in metric or imperial and can be used with internal rechargeable battery source or external AC input. 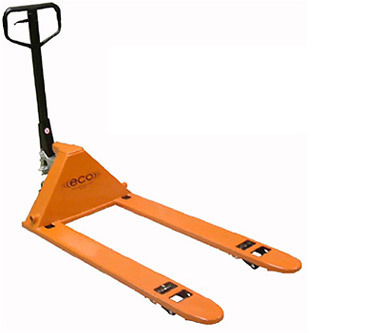 The ECO I-44WL features a quality German design pump for long life and easy field servicing. 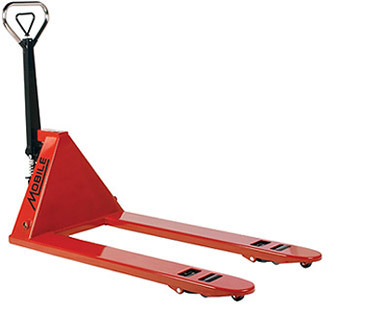 Durable, versatile and easy to use, it features an ergonomic design that reduces operator fatigue and downtime. 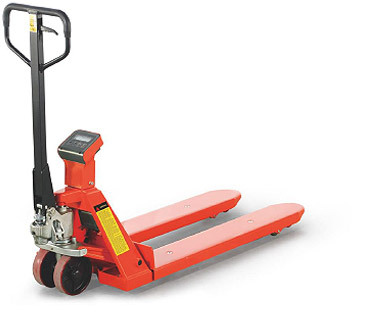 A 195 degree handle pivot provides exceptional maneuverability in compact areas and comes with standard polyurethane wheels and rollers for rolling ease.